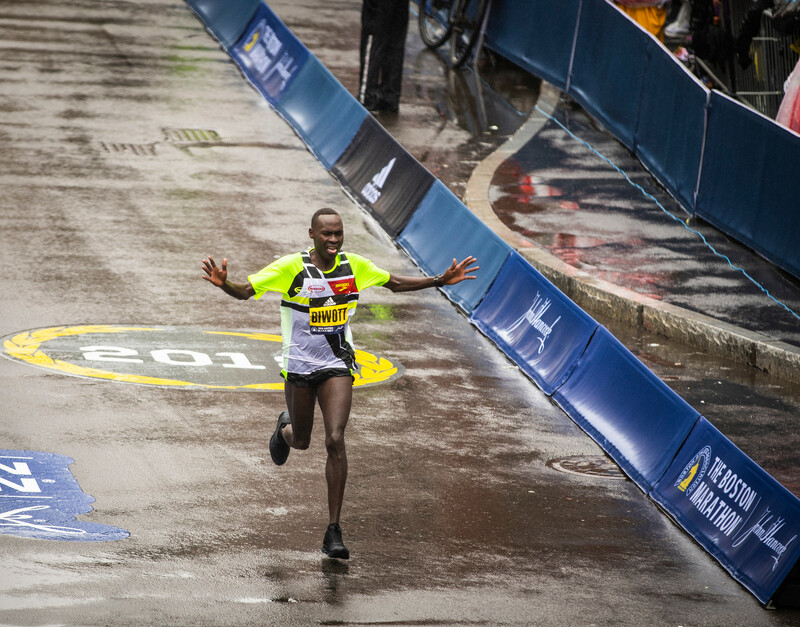 – Watch the London Marathon’s short film “Eliud” – just over 10 minutes long – which debuted on Saturday at 2 PM ET. More info here. 2:17.59.4: New INDOOR MARATHON WR!! Is Runner's World trying to get all edgy? What's it like to live in Manhattan? Times have changed: Joan B. Samuelson was punched by her college field hockey coach and Joanie says the coach did the "right thing"
LRCers vindicated (yet again). Cherry Blossom 10 Miler was 240f short. 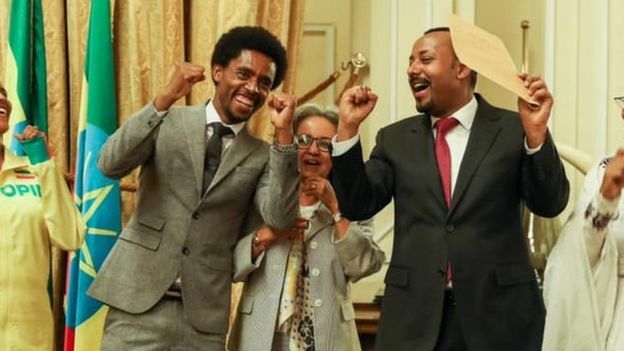 Kebenei loses AR but keeps 10k cash bonus. 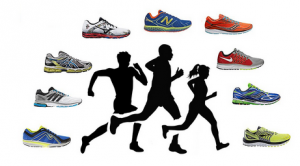 LRC Boston Marathon Weather Might Actually Be Pretty Good After All If you are dreaming of PRing tomorrow in Boston, we’ve got good news for you. John Kellogg thinks that might be possible as the expected tailwind could offset the warmish temperatures. LRC Media Day In Boston: What Did The Pros Say? Who Is Ready To Go? Des Linden, Jordan Hasay, Jared Ward, Shadrack Biwott, Sally Kipyego, Geoffrey Kirui and many more shared their insights. *Toni Reavis Recaps Boston Press Day In Great Detail He may have done a better job than us. 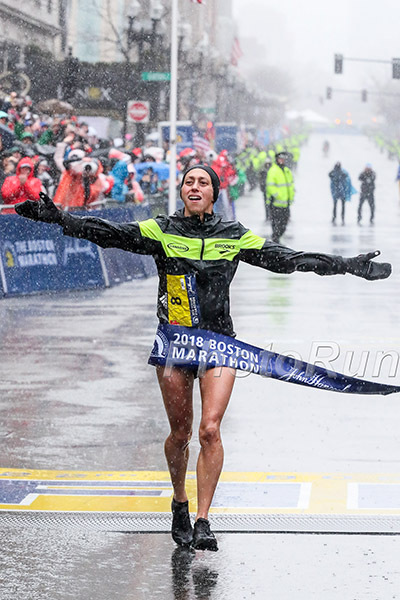 LRC Boston Marathon Preview Podcast Recorded Live In Boston : Des Linden Returns To Defend, Desisa Ready For Kirui 1 hour and 10 minutes of listening pleasure at link above or player below. 3:58 1500 runner Gelete Burka – the former world indoor 1500 champ – wins Paris Marathon in 2:22:47 Abrha Milaw of Ethiopia won the men’s race in just 2:07:05. We say ‘just’ because the first half was 62:15. 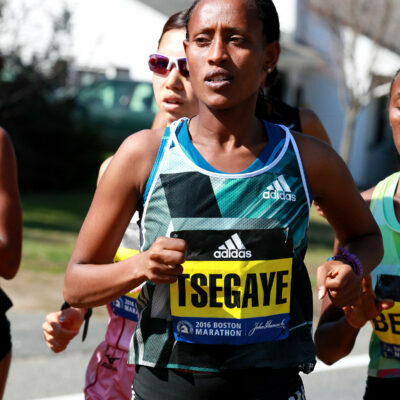 2019 BAA 5K: LRC Hagos Gebrhiwet (13:42) Repeats As Monicah Ngige (15:16) Runs Away From Women’s Field Ben True (13:44) and Justyn Knight (13:46) were 2nd and third as Kim Conley took top American honors in the women’s race in fourth (15:36). 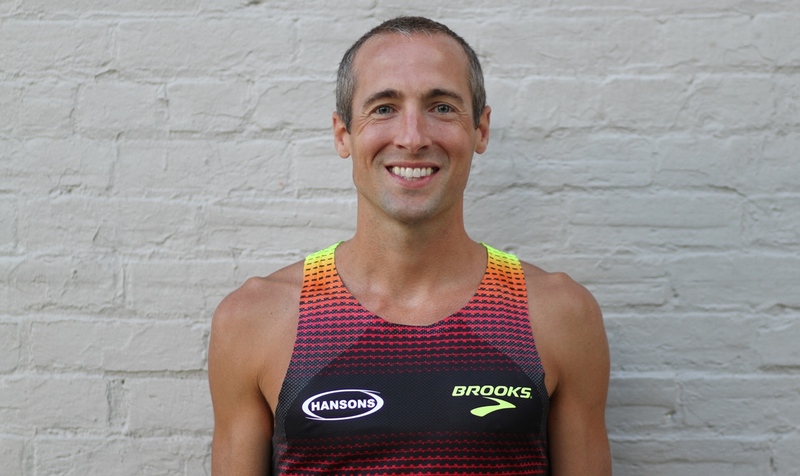 2019 BAA 1 Mile: LRC 2019 BAA Mile: Robert Domanic (4:06.4) & Nikki Hiltz (4:40.1) Win Close Races Mission Athletics Club team members Nikki Hiltz and Emily Lipari ran the exact same time (4:40.1) but Hiltz got the win. 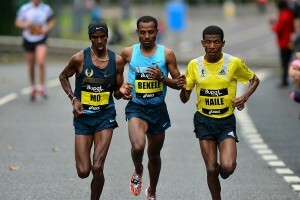 In the men’s race, the Reebok Boston Track Club’s Domanic won by half a second over Chris O’Hare. 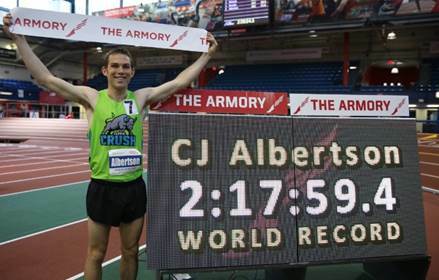 CJ Albertson Runs 2:17:59.4 As Indoor Marathon World Record Fall For 4th Straight Year At Armory Albertson, a 25-year-old cross-country coach at Clovis Community College in Fresno, Calif., turned in a time of 2:17:59.4 to surpass two-time champion Malcolm Richards‘ previous record of 2:19:02. Richards beat his previous mark with a time of 2:18:47.9 time to finish as runner-up. 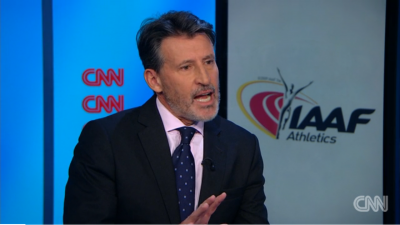 Ben Bloom: Impending Caster Semenya Verdict Could Have Impact Far Beyond Athletics We only wish the article didn’t solely focus on chromosones and mentioned that she doesn’t have ovaries and is believed to be XY. France’s Marathoner Clemence Calvin Has Her Doping Suspension Lifted By Courts, Will Run Sunday’s Paris Marathon She says doping officers acted like they were police and were ‘violent’ when they approached her for a test in Morocco. They say she refused a test. 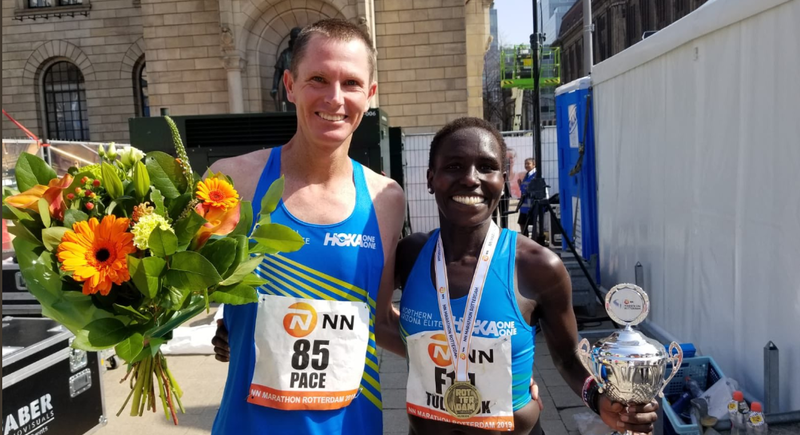 WTW Week That Was: Africans, Americans, And Europeans Run Fast In Rotterdam, 8:40.00 High School 3,200m, Kebenei American 10-Mile Record It was a great week to run fast – and an American record finally fell after 13,160 days – but don’t tell that to Noah Droddy, Amy Cragg or Dennis Kimetto. Short Film On Eliud Kipchoge Premiering Saturday You can watch the film for free here at 2PM ET on Saturday. Trailer For New Documentary On US Hurdler Johnny Dutch The documentary will follow Dutch as he pursues his Olympic dream as well as his goal of being a filmmaker. Kenya’s Cyrus Rutto Gets Doping Suspension Based On Evidence From The Biological Passport Rutto was 13th in the 5,000 at 2017 Worlds. Strange Story: French 2:26 Marathoner Clemence Calvin Suspended For “Obstructing A Doping Test” In Morocco Calvin denies any wrongdoing and claims the testers were violent and pretended to be police officers, never identifying themselves as testers. 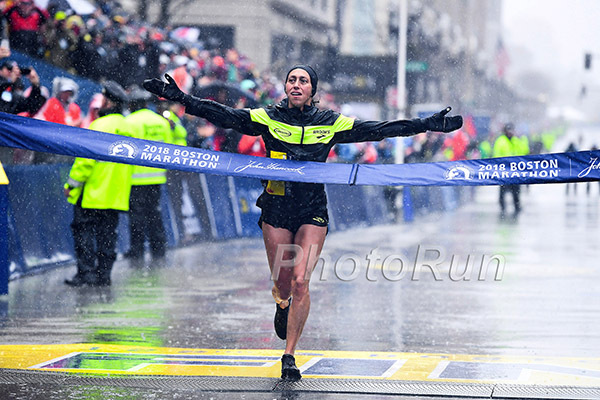 After Losing A Year To Injury, Jordan Hasay Is Happy To Return To Boston Fit And Healthy Hasay had done a ton of extra PT work which she says has led to her being more flexible with better form. She’s not the fittest she’s ever been, but feels she’s as fit as she was before her first Boston (where she was 3rd in 2:23). Wind And Rain On The Forecast Again For Boston It’s supposed to be warmer than last year, though, with forecasts predicting between 44 and 55 degrees. 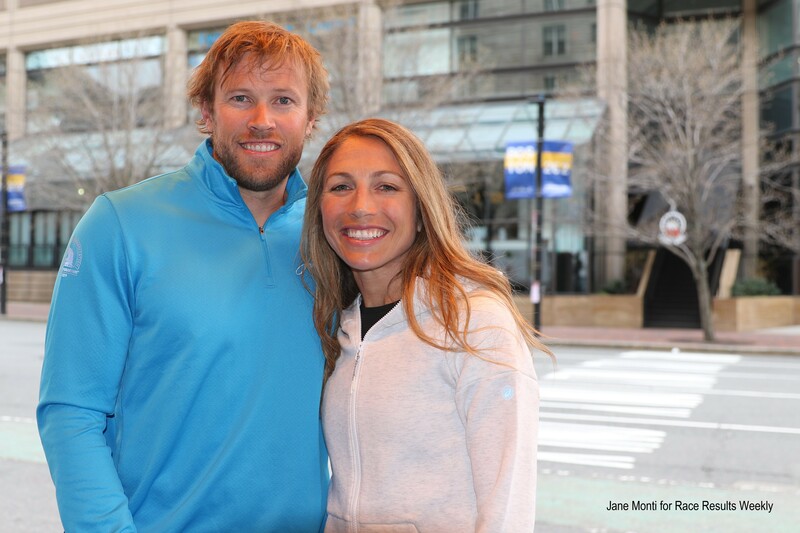 RW: 9 Celebrities Running The Boston Marathon Former Olympic gymnast gold medalist Shawn Johnson East and her husband, NFL player Andrew East are running it together. 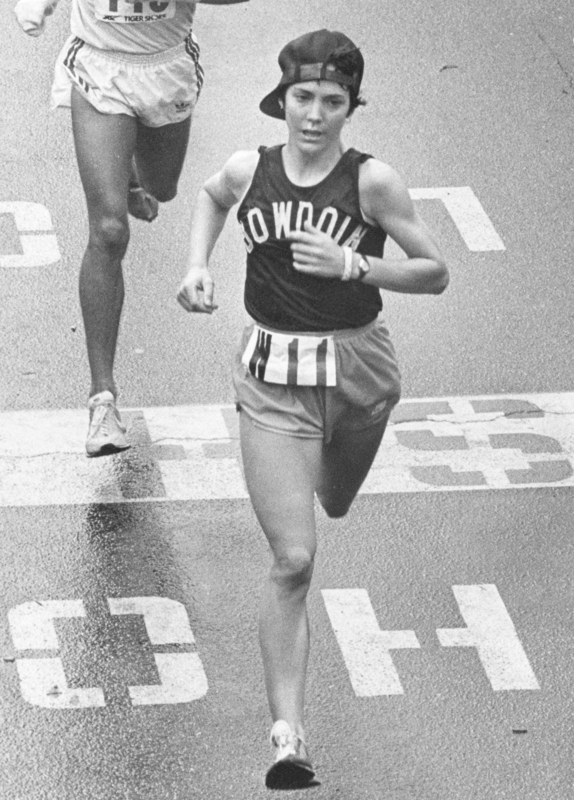 MB: George Hirsch recalls how 50 years ago all you needed to run Boston was $2 and a note from your doctor Hirsch, who went on to co-found the NYC Marathon, ran Boston as the 1st road race of his life in 1969. 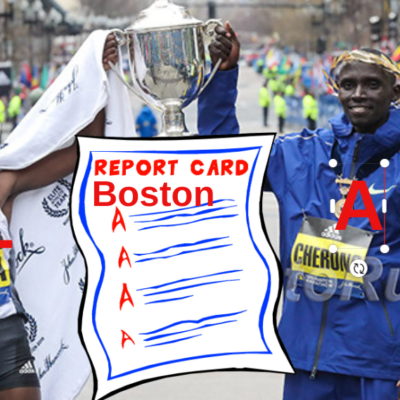 Cherry Blossom 10 Miler Was Found To Be 240 Feet Short, So Stanley Kebenei’s AR Won’t Count The race organizers deserve kudos for figuring it out so quickly and for paying Kebenei the $10,000 bonus anyway. Paula Radcliffe Has Sympathy For Semenya But Says “… it’s not possible to be fair to everybody.” “Maybe in the future there will be more than two categories,” said Radcliffe. Should Steve Cram Be Eligible To Be Head Of UK Athletics If He’s Employed By Nike And BBC? The answer is no. NCAA D2 800 Champ, Thomas Staines Of Col St. Pueblo, Is The Son Of 2 British Olympians – Gary And Linda Staines Mom ran 50.98 for 400 while dad ran 3:53 mile, 13:14 for 5,000m, 27:48 for 10,000m and 2:11:25 for the marathon. Oregon Ducks Announce Recruiting Class They have recruits from 8 states and four countries, but only 1 Oregonian. The class includes Tyrese Cooper. Doha DL Is May 3rd – Hellen Obiri Will Be There, As Will Ronald Kwemoi Renato Canova anointed Kwemoi as the 2020 Olympic 5,000 champ years ago. Recommended Read Lengthy TFN Q&A With Fred Kerley – The World’s Best 400 Man The article reveals that Kerley is easily the tallest and heaviest sub-44 man in history. He weighs more than 30 lbs more than anyone in the top 10 in the world right now. Canada’s Andre De Grasse ready for first individual race since last July And last year, he didn’t run faster than 10.15 or 20.46, but he’s hoping to get back to his old form under new coach Rana Reider. Athletes Converge On Iten For Relay Trials – Daily Nation Remember, there are no distance relays as the IAAF seems to hate distance running. 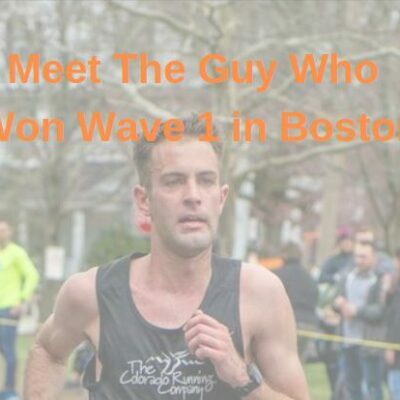 LRC 2019 Boston Marathon US Men’s Preview: Ward, Fauble, Ritz, & Biwott Battle For Top American Honors Who will be the top American in Boston in 2019? 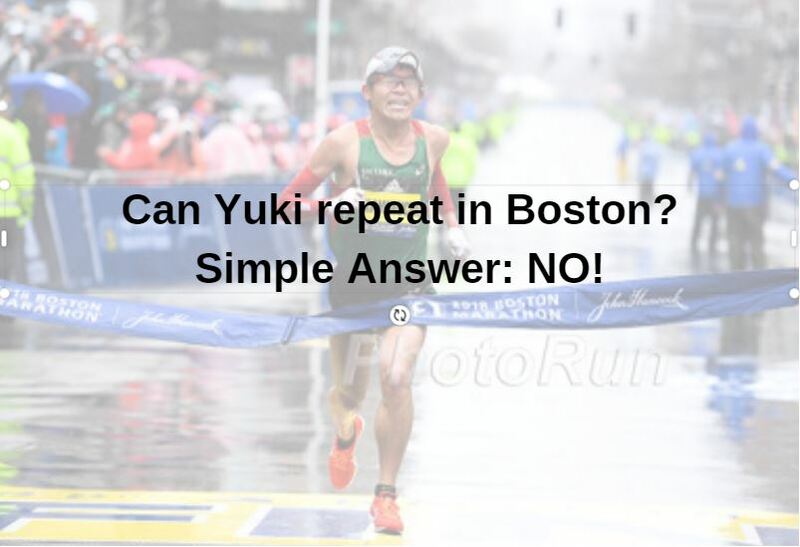 LRC Men’s Preview From #16 To #1 – Counting Down The 2019 Boston Marathon Men’s Contenders We’ve broken down the potential winners of the 2019 Boston Marathon into five categories: Basically No Shot (#14-16), Outside Shots (#9-13), The Wild Card (#8), Genuine Contenders (#4-7), and Three Total Studs (#3-2-1). Sorry, Yuki Kawauchi and Dathan Ritzenhein fans, but we’ve determined they have “basically no shot” of winning. 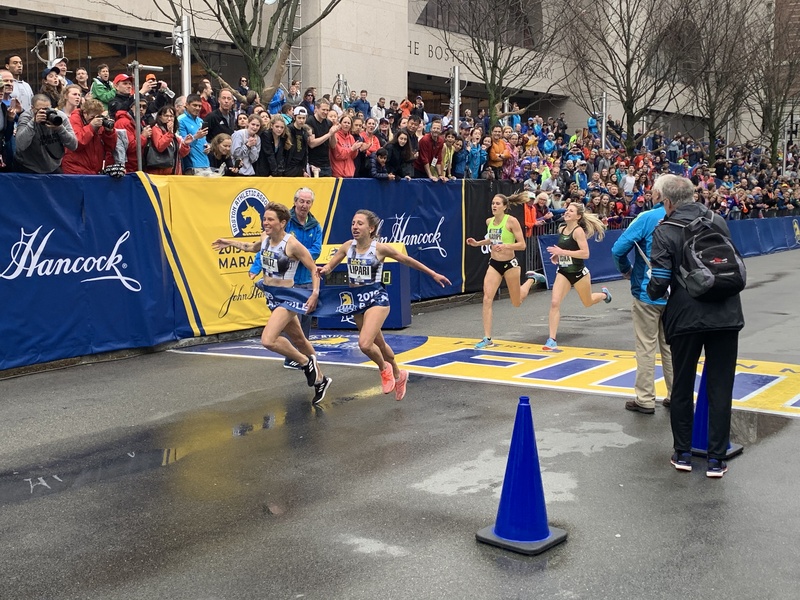 LRC Women’s Preview 2019 Boston Marathon Women’s Preview: Americans Des Linden & Jordan Hasay Take On A Field Led By 2:17 Woman Worknesh Degefa For the first time in 33 years, the defending Boston marathon women’s champion is an American, Des Linden. That the good news. For the bad news, read the article. 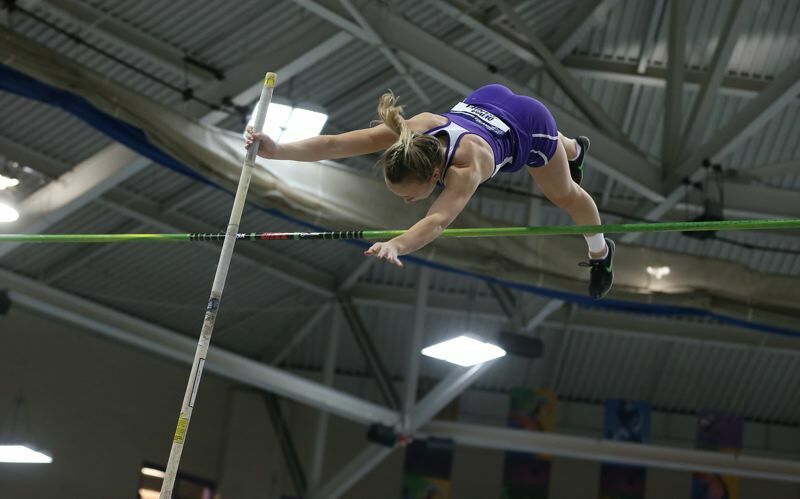 Last Week’s NCAA Athletes Of The Week Were Arizona’s Jordan Geist And Stanford’s Mackenzie Little Geist threw 21.28m in the SP to move to #1 this year in the NCAA while Little threw 59.47m in the javelin to better her own NCAA lead. Drake Relays Men’s Mile And Women’s 1,500 Fields Announced The races include Erik Sowinski, Harun Abda, Heather Kampf and Alexa Efraimson. MB: Galen Rupp Back In Training After Being Out With Injury/Surgery Rupp had foot surgery last fall to try to help cure his Achilles issues. 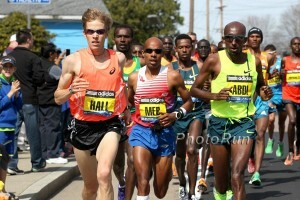 Stanley Kebenei Named USATF Athlete Of The Week For Breaking US 10 Mile Record At Cherry Blossom Greg Meyer‘s 36-year-old mark was one of the oldest American records on the books. Svein Arne Hansen Set To Be Re-Elected As European Athletics President This Weekend He’s running unopposed. Paris 2024 Dismiss Call From City Councillor For Referendum On Whether To Cancel Hosting The Olympic Games Apparently a survey found that 62% of voters were in favor of canceling, but officials argued it was a very unofficial online survey where someone could answer unlimited times. Japan Olympic Minister Forced To Resign After Controversial Comments On 2011 Earthquake And Tsunami Apparently he said a politician in a certain region was “more important than the [region’s] recovery]” while speaking at a fundraising party. A Major Bust In Kenya? Kenya’s Paul Lonyangata Going For A Three-Peat At The Paris Marathon The 2:06:10 man faces multi-time global medalist Augustine Choge and Ethiopian sub-2:05 men Asefa Mengistu and Yemane Tsegay. Former world XC champ Gelete Burka (2:20:45) leads the women’s race with Azmera Abreha (2:21:51). Defending Champion Malcolm Richards And 2017 Champ Chris Zablocki Ready To Challenge Each Other And The World Record At The Armory Indoor Marathon Richards won last year in an indoor marathon WR of 2:19:01 while Zablocki ran 2:21:47 in 2017. 2:13:40 man Andrew Lemoncello is also racing. Stephanie Pezzullo (2:32 PR) and former Arizona State All-American Chelsey Albertson lead the women’s race. Former UKA Head Ed Warner Talks About Cheating In The Sport And How It’s “Inevitable” Warner says to combat doping you have to “look at it through the eyes of the cheat” and that the “consequences” are key. July 20: Stellar Quartet Will Face Off In The Anniversary Games Women’s 100m The field includes Jamaica’s double Olympic champ Elaine Thompson, two-time World champ Dafne Shippers, GB’s double Euro champ Dina Asher-Smith and double world medalist Marie-Josee Ta Lou. 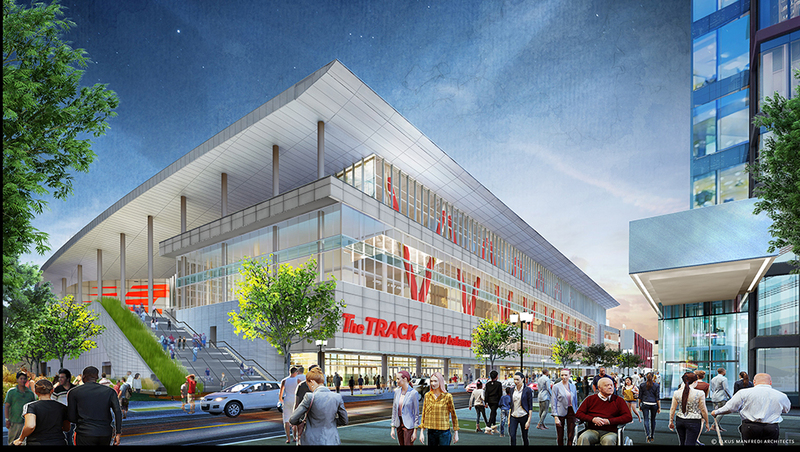 Ground Broken On New Boston Indoor Facility New Balance’s “The Track” will be a multi-sport athletic complex (including a banked 200m track) and concert venue. 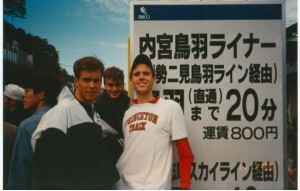 It will also be a training facility for the Mark Coogan-coached NB Boston team. The Oregonian: Big Spenders Will Get First Choice For Seat Locations In The New Hayward Field Top priority for seat choice will go to donors who have contributed $50,000 or more to the reconstruction. Mondo Presents New “Air Cell Technology” Track Surface The new surface will incorporate air-filled cavities in the bottom layer which will supposedly make the track even faster. NY Times: “Sarah Sellers And The Craziest Schedule In Running” Last year’s Boston runner-up does elite training while working 30 hours a week at the hospital as a anesthetist, sometimes getting up at 4AM to run before work. Cheaters Beware: NY Times Profiles Marathon Detective Derek Murphy Of MarathonInvestigation.com Murphy has a policy that if cheaters admit they cheated and apologize he won’t print their story on his website. 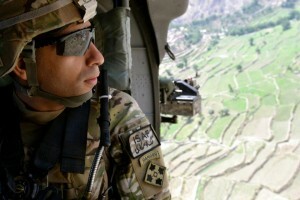 It’s only the Mike Rossis of the world who deny even in the face of all the evidence) that get named on his site. Man Whose Wife Was Stabbed To Death In DC While Training For Boston Is Running It In Her Memory He had proposed just 6 days before her senseless murder. Daily Nation: Geoffrey Kirui Leads Kenyan Quest For Glory On Boston City Streets Last year’s runner-up Kirui is self-coached and says he got “special prayers” from his pastor which he believes will help him on the course on Monday. Boston.com: “Wet Conditions Look Locked In For Monday” Highs in the 50s and rain all-day are what the meteorologists predict for Boston. 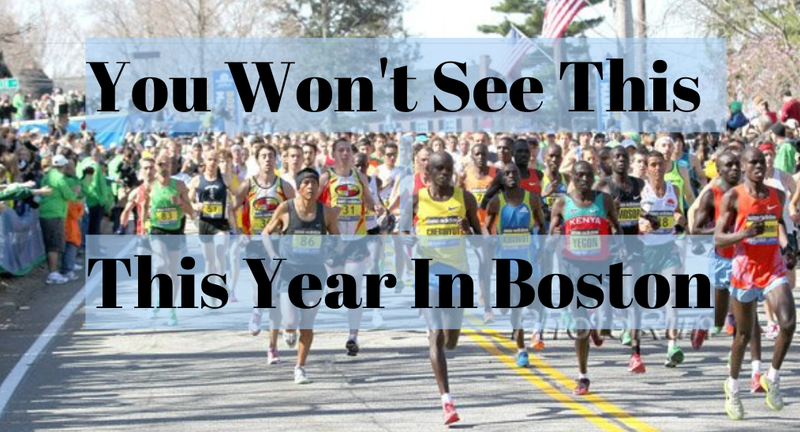 WBUR.org: 6 Story Lines To Watch In Boston It’s worth noting that this year’s race is the first Boston run on the actual anniversary of the 2013 Boston bombing. 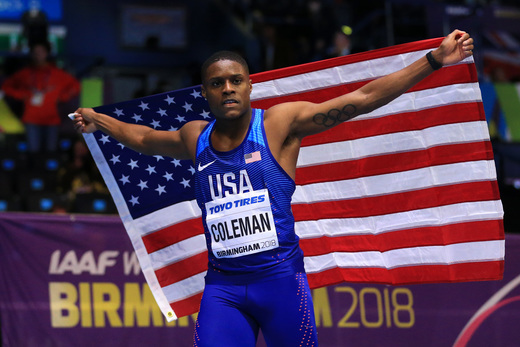 Ato Boldon Expects Jamaica To Break The World Junior 4 X 100 Record This Year Boldon coaches one of the star Jamaican sprinters, double world U20 champ Briana Williams. June 20: Olympic 400m Champion Shaunae Miller-Uibo Will Race The 300m At The Ostrava Golden Spike Meet Miller-Uibo equaled the 300m world indoor best last year with 35.45. That’s the #2 all-time only behind the outdoor world best of 35.30. IAAF Inside Athletics: Ato Boldon Video Interview With Dawn Harper Nelson The former Olympic champ retired last year after revealing she was pregnant with her first child. Mutaz Essa Barshim And Hurdler Abderrahman Samba Donate Kit To IAAF Heritage Collection Opening In Doha Next Week Barshim donated the vest he wore when winning HJ bronze at the 2012 Games.